PropertyInvesting.net: property investment news: House prices: What is negative equity and how does it affect selling your property? 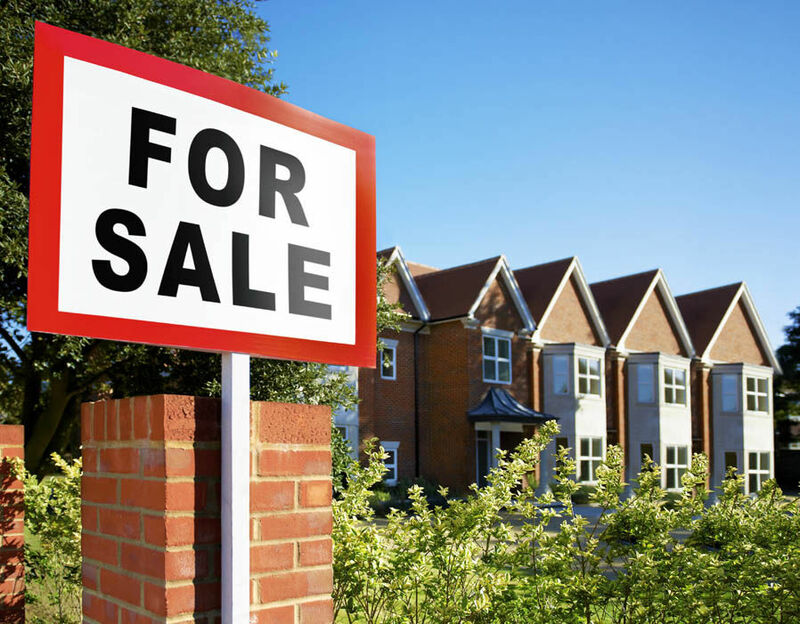 House prices: What is negative equity and how does it affect selling your property? HOUSE prices are generally strong across the UK, but many Britons will remember a time when homes were in negative equity. With uncertainty creeping in to the housing market, a property expert explains what negative equity is and how it affects property sales. House prices: What is negative equity? Can you sell a property in negative equity? Negative equity is not something most first time buyers will be aware of, thanks to years of booming house prices across the UK. But with some slowing down in the property market, it is important to be aware of what negative equity could mean for house sales. Property expert Elliot Castle, founder of WeBuyAnyHome, spoke to Express.co.uk about the term and explained what it means. Breaking down what it is, he said: “When your property ends up in negative equity it means that your outstanding mortgage is higher than the value of your home. Revealing why negative equity happens, Elliot continued: “The usual cause of negative equity tends to be a crash in property prices. Many homeowners may not immediately realise they have fallen into negative equity, as Elliot explained: “Few people discover they are in negative equity until they come to sell their home and receive a valuation from an estate agent. “Usually, most people are aware of what they owe on their mortgage but, if you need to check, this can be done by logging into your online banking portal or calling your mortgage lender. So, can homeowners sell a property if it is in negative equity? Elliot said: “Selling a house in negative equity will be impossible for some, as few people have enough savings to pay the difference in price between their current property and the new property they wish to purchase. But it is not all bad news, and Elliot explained how to get out of the situation. He said: “Negative equity is not an ideal situation to be in, but it is only really a major problem if you wish to sell your home or borrow against it. Whilst not an ideal solution, some mortgage lenders will let you sell your home in negative equity and pay off the shortfall over a period of time. Conversations will need to be had with your lender to see if they would let you sell your home for less than your mortgage. This is the least optimal solution, as you could end up financially strained due to the costs associated with moving to the new property. Mortgage rates are usually higher than savings (for which you also pay tax on interest) so reducing your mortgage with any money you have is a valid option. Paying additional smaller amounts to pay off your mortgage faster will help, and chipping away at the total over a period of time is a great strategy. However, most lenders let you pay off up to 10 per cent of the total remaining without a penalty. If you are desperate to move and the difference in value between your home and the outstanding mortgage isn’t sky high, you could consider clearing the shortfall with borrowed money – essentially buying yourself out. The ideal option is to borrow from family and friends but, if this is not possible, you could consider taking out an unsecured loan. However, taking out an unsecured loan will increase your total debt and is likely to be more expensive than borrowing against your mortgage. This is the option that everyone should aim to avoid as it has bad repercussions on your ability to borrow money again in the future, along with other restrictions. Declaring bankruptcy should only ever be considered if you find yourself in serious negative equity and fear you will find debt repayment difficult if you do sell your home. Before ever taking this route, always contact your mortgage lender for help and seek legal advice. Alongside declaring bankruptcy, allowing your home to be repossessed should also be a very last resort. If your home is repossessed, you will find it very difficult to secure a mortgage in the future as your credit rating will be damaged for a minimum of six years. For the same period of time, your mortgage lender will also be able to chase you for any outstanding debts, which can add to an already stressful situation. If your home is repossessed, it will likely be sold at a private auction, where prices are significantly lower than if the property were to be sold privately. This means you could end up owing more money to your mortgage lender than if you sold your home through an estate agent.